1. Short title, extent and commencement . (1) This Act may be called The Right to Information Act , 2005. (3) The provisions of sub-section (1) of section 4, sub-sections (1) and (2) of section 5, sections 12, 13, 15, 16, 24, 27 and 28 shall come into force at once, and the remaining provisions of this Act shall come into force on the one hundred and twentieth day of its enactment. Object & Reasons : Statement of Objects and Reasons.-In order to ensure greater and more effective access to information, the Government resolved that the Freedom of Information Act, 2002 enacted by the Parliament needs to be made more progressive, participatory and meaningful. The National Advisory Council deliberated on the issue and suggested certain important changes to be incorporated in the existing Act to ensure smoother and greater access to information. The Government examined the suggestions made by the National Advisory Council and others and decided to make a number of changes in the law. The important changes proposed to be incorporated, inter alia, include establishment of an appellate machinery with investigating powers to review decisions of the Public Information Officers; penal provisions for failure to provide information as per law; provisions to ensure maximum disclosure and minimum exemptions, consistent with the constitutional provisions, and effective mechanism for access to information and disclosure by authorities, etc. In view of significant changes proposed in the existing Act, the Government also decided to repeal the Freedom of Information Act, 2002. The proposed legislation will provide an effective framework for effectuating the right of information recognized under Article 19 of the Constitution of India. 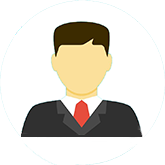 (m) State Public Information Officer means the State Public Information Officer designated under sub-section (1) and includes a State Assistant Public Information Officer designated as such under sub-section (2) of section 5. (n) third party means a person other than the citizen making a request for information and includes a public authority. 3. 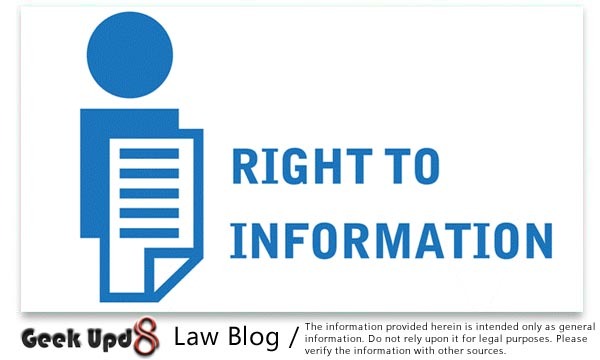 Right to information .Subject to the provisions of this Act, all citizens shall have the right to information. Explanation. For the purposes of sub-sections (3) and (4), disseminated means making known or communicated the information to the public through notice boards, newspapers, public announcements, media broadcasts, the internet or any other means, including inspection of offices of any public authority. 5. Designation of Public Information Officers . (1) Every public authority shall, within one hundred days of the enactment of this Act, designate as many officers as the Central Public Information Officers or State Public Information Officers, as the case may be, in all administrative units or offices under it as may be necessary to provide information to persons requesting for the information under this Act. 9. Grounds for rejection to access in certain cases .Without prejudice to the provisions of section 8, a Central Public Information Officer or a State Public Information Officer, as the case may be, may reject a request for information where such a request for providing access would involve an infringement of copyright subsisting in a person other than the State. 10. Severability . (1) Where a request for access to information is rejected on the ground that it is in relation to information which is exempt from disclosure, then, notwithstanding anything contained in this Act, access may be provided to that part of the record which does not contain any information which is exempt from disclosure under this Act and which can reasonably be severed from any part that contains exempt information. 12. Constitution of Central Information Commission . (1) The Central Government shall, by notification in the Official Gazette, constitute a body to be known as the Central Information Commission to exercise the powers conferred on, and to perform the functions assigned to, it under this Act. Explanation. For the purposes of removal of doubts, it is hereby declared that where the Leader of Opposition in the House of the People has not been recognised as such, the Leader of the single largest group in opposition of the Government in the House of the People shall be deemed to be the Leader of Opposition. 14. Removal of Information Commissioner or Deputy Information Commissioner . (1) Subject to the provisions of sub-section (3), the Chief Information Commissioner or any Information Commissioner shall be removed from his office only by order of the President on the ground of proved misbehaviour or incapacity after the Supreme Court, on a reference made to it by the President, has, on inquiry, reported that the Chief Information Commissioner or any Information Commissioner, as the case may be, ought on such ground be removed.